When we say Haselden is a family business, we’re not just talking about the Haselden family. We definitely have our fair share of Haseldens working at Haselden Construction (just check out this blog post! ), but the number of people who are related that work at this company is truly astounding—and says a lot about our culture. Most people are not going to encourage a family member to work for their employer unless they really believe it is a stellar working environment. Brothers Shawn Morrison (left) and Brandon Hern (right). Another family that’s been here more than two decades is Project Coordinator Monique Anderson and her brother-in-law Mike Cunningham (Mike is married to Monique’s sister), a senior project manager. Monique has been with the company nearly 21 years, and Mike 34 years. At one point, Monique’s sister worked here as well. We have several people working here that like Haselden enough to suggest their kids give it a shot. Lennie Brown is a superintendent that’s been with Haselden nearly 22 years, and his son Kelsey is a carpenter who has been with the company for 7 years. 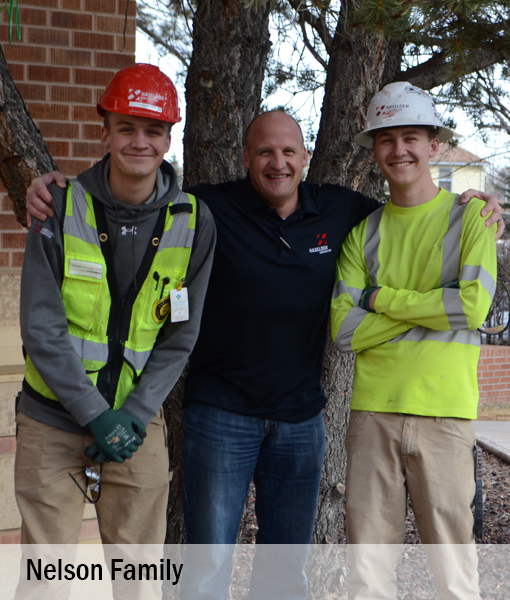 Director of Planning & Construction Preston Nelson started working at Haselden in 1996, and now both his teenage sons, Owen and Tyler, work here as laborers. Kim Devine is our project coordinator for jobs in the Northern Region. She started with the company two years ago and her son Daniel entered our Construction Management Associate Professional Program last year. Father and son team Jessie and Noah Trevino are both currently working at our Laurel Cherry Creek project with Jessie (dad) working as the labor foreman and Noah (son) working as a laborer. Jason (left) and Killian McManus (right). developer and is now the On-Call division manager/director of business development. Bringing in another family member, Brandee Moore, Brandon’s daughter and Dakota’s sister, interned with us last summer. 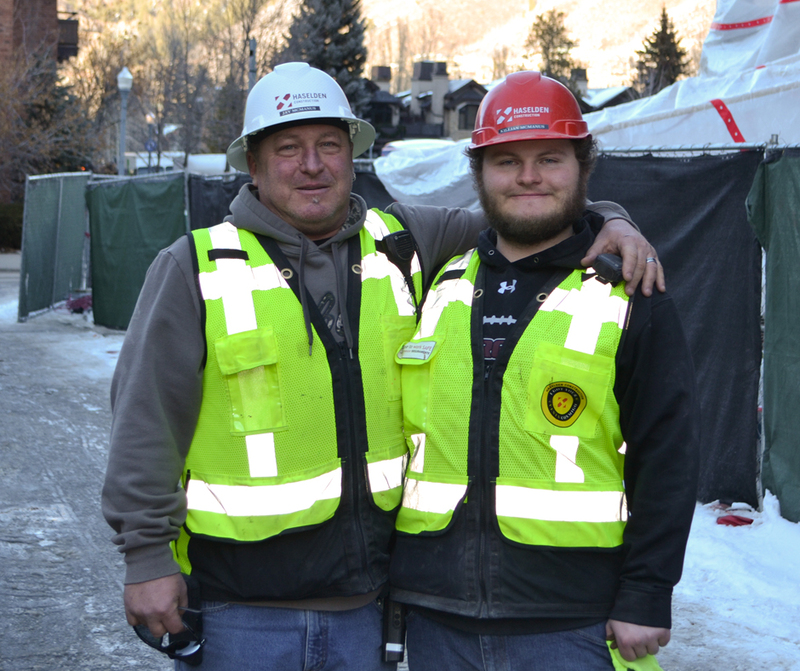 Assistant Superintendent Jason McManus and his son Killian McManus (laborer) both started at the same time and are working together on our W Aspen project. In-laws, cousins, you name it, you can probably find the familial connection at Haselden! 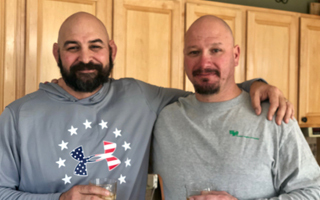 Travis Weber, our assistant director of Environmental Health & Safety is cousins with Brandt Plessinger, a welder foreman on our Miscellaneous Metals Team. Equipment Manager Daniel Kreutzer is brother-in-law to Senior Estimator Joe McLain. On-Call General Superintendent Andrew Ruder often works with his brother, Civil Superintendent Thomas Ruder. Cousins Teo Galarza, Jose Galarza, and Irving Nunez all work together in our On-Call Division.